He left behind a mind-expanding collection of books. Alan Watts wrote more than 25 books on the subjects of philosophy and religion. He was among the first to bring Zen Buddhist thought to the West. Subjects ranged from dualism in philosophy to the troubles of modern man. Alan Watts was a gifted philosopher who tasked himself with the near impossible, putting that which transcended the knowable into words. A counterculture mystic and a spiritual entertainer with an eye on the divine, it's no surprise that Watt's philosophy and wisdom filled a number of books. Watts didn't ask for you to follow any creed, or to look to him as a guru or any other self-defeating self-help drivel. He simply asked just for you to be. 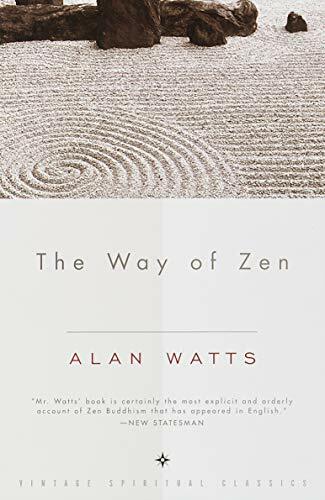 The following Alan Watts books cover a number of different topics — a messenger of Zen, Watts bridged the gap of understanding between the East and West — and paint a full picture of a well-lived life in a whimsically poetic way. One that compels you to gaze within yourself and the cosmos around you. Many wonder what Alan Watts book they should read first. A centerpiece in the bibliography of Watts is a piece usually referred to just as The Book. It is here where Watts sets out to discover what he believes to be the fundamental misunderstanding of who we really are. The idea of the "Ego" or self as an isolated being not connected to the rest of the universe has given us a hostile view of the world "outside of ourselves." With language that is inherently playful and conversational, Watts expertly pokes fun at the belief of viewing the Self as a contained and separate entity from the whole. You'll find a number of Watt's philosophy have been disseminated online through a hodgepodge of lectures taken throughout the years. 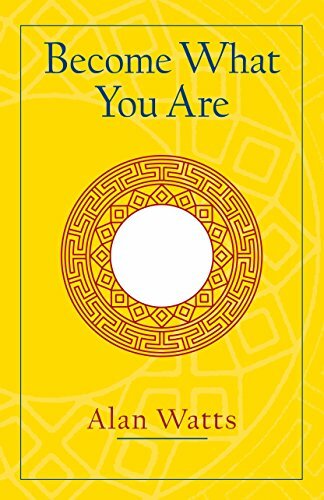 Become What You Are is a unique set of essays that can be read in a few sittings. The book reads as a disconnected set of ideas as commentary on ways to live. "You may believe yourself out of harmony with life and its eternal Now; but you cannot be, for you are life and exist Now... there is no coming toward it or going away from it; it is, and you are it. So become what you are." This wonderful kernel of truth blossoms throughout the rest of the book and acts as another introductory entryway into his more deeper and comprehensive works. His grasp and ability to express abstract ideas in such a way that anyone can understand it, is a gift that is expertly shown throughout this book. Long before yoga studios and hip Zen maxims flooded the Western streets, Alan Watts was explaining and practicing the principles of Zen Buddhism to a new audience of readers. The Way of Zen delves into the origins of the religion and what it means to practice Zen in the modern world. Watts believed that Zen was one of the most important concepts to arise out of the Eastern sphere. Zen is explained to the best of its ability, for it is something that needs to be felt and experienced. The explanations in this book are given with a wink and a cosmic smirk. "The centipede was happy, quite, until a toad in fun said, 'Pray, which leg goes after which?' This worked his mind to such a pitch, he lay distracted in a ditch, considering how to run." Zen is one branch of Buddhism. The Way of Zen teaches you that zen emerges from spontaneity and leads you into the present moment and the experience of the now. 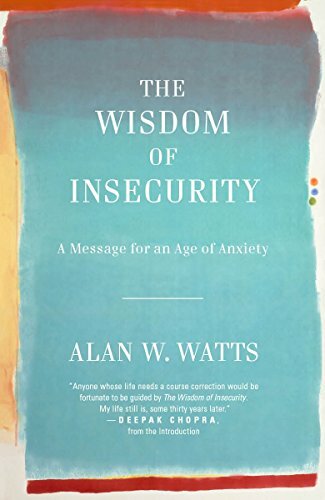 Throughout the book, Watts contrasts this way of thinking to the rapid-paced and unreflective nature of modern society and its tendency to make us feel unfulfilled, rudderless and empty. "A world which increasingly consists of destinations without journeys between them, a world which values only 'getting somewhere' as fast as possible, becomes a world without substance." Watts was always interested in exploring the underlying notion of dualities and their effect on mind. He called them, "the great two poles of human thought, spirit and nature." 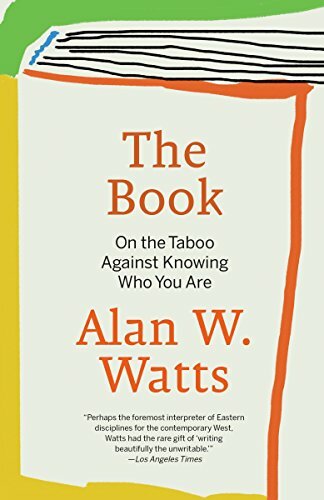 Drawing on his vast knowledge of Taoism, Alan Watts imagines a new viewpoint between the connection of man and the universe. It's stated in the preface of the book that this is a work where he's "thinking out loud." This is Alan Watts at his best as he digs deep and weaves without abandon into the most curious parts of our nature. 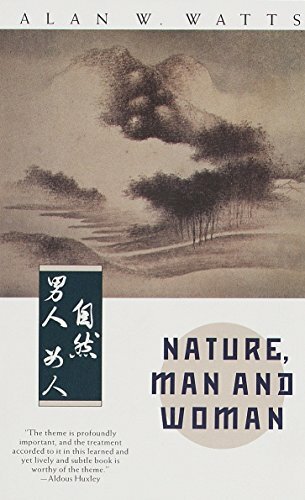 "... the problem of man's relation to nature raises the problem of man's relation to woman – a matter about which the spiritually minded members of our own culture have been significantly squeamish." This is a book that's whole purpose is to get you within the now and live in the present moment. We've heard this cliche so many times now, the words ring hollow. But Alan Watts will always be the master of bringing wisdom to the mundane and the lost oft repeated adages we take for granted. Written in 1951, his prophetic words predicted the rapid pace of modern society led by increasingly more complex technology. The consequence of this would be that our connection to the real and authentic experiences would not only diminish but barely come about again. "Tomorrow and plans for tomorrow can have no significance at all unless you are in full contact with the reality of the present, since it is in the present and only in the present that you live. There is no other reality than present reality, so that, even if one were to live for endless ages, to live for the future would be to miss the point everlastingly." Here we have a change of pace as we get to read Alan Watts' autobiography. Watts starts out with his upbringing in rural England and slowly wades into his life as the spiritual counterculture figure many would come to know him by. 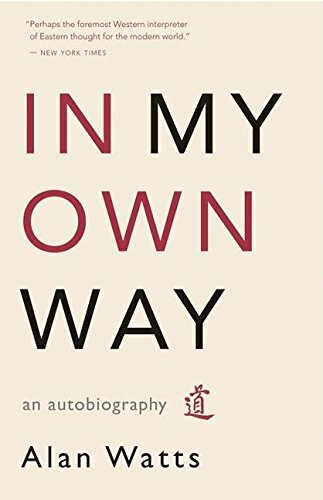 In My Own Way recounts many of his interactions with the gurus and celebrities of the day, psychedelic experiences and of course the philosophical insight that overflows from so many of his other books and lectures. "My vocation in life is to wonder about at the nature of the universe. This leads me into philosophy, psychology, religion, and mysticism, not only as subjects to be discussed but also as things to be experienced, and thus I make an at least tacit claim to be a philosopher and a mystic." The Joyous Cosmology joins the ranks of some of the best psychedelic books ever to be written. Alan Watts' insights into the altered consciousness of psychedelic experience rivals Aldous Huxley's seminal work: The Doors of Perception. 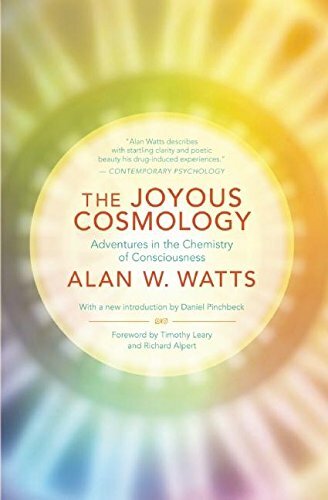 Continuing the tradition as philosophical seeker and not one just out for recreational fun – Watts saw the true worth of psychedelic exploration. He believed true insight could be found:"when accompanied with sustained philosophical reflection by a person who is in search, not of kicks, but of understanding." Far ahead of his time in relation to both the sixties counterculture and our own era, Watts argued for the protection and right to our own brains and nervous systems. Fundamental rights that weren't up for debate by any form of government. "It is generally forgotten that our guarantees of religious freedom were designed to protect precisely those who were not members of established denominations, but rather such (then) screwball and subversive individuals as Quakers, Shakers, Levellers, and Anabaptists. There is little question that those who use cannabis or other psychedelics with religious intent are now members of a persecuted religion which appears to the rest of society as a grave menace to "mental health," as distinct from the old-fashioned "immortal soul." But it's the same old story."